- Firstly, we are trying to activate the hybrid relationship between nature and culture, allowing the reconnection of the former lignite mining sites with the existing settlements. 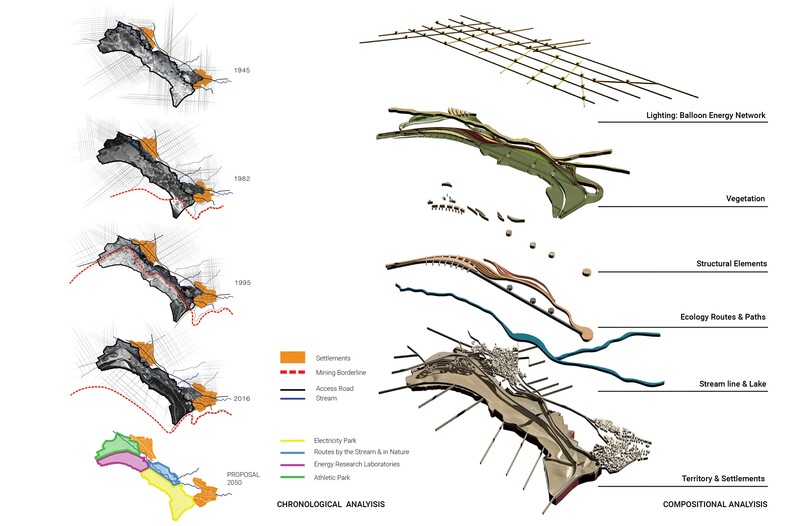 - Secondly, we use collective memory as a signification mechanism, in order to give meaning to the landscape. - Thirdly, our design proposal rests on principles of sustainability. - Fourthly, we are aiming to programme the landscape as an open operational and functional field. 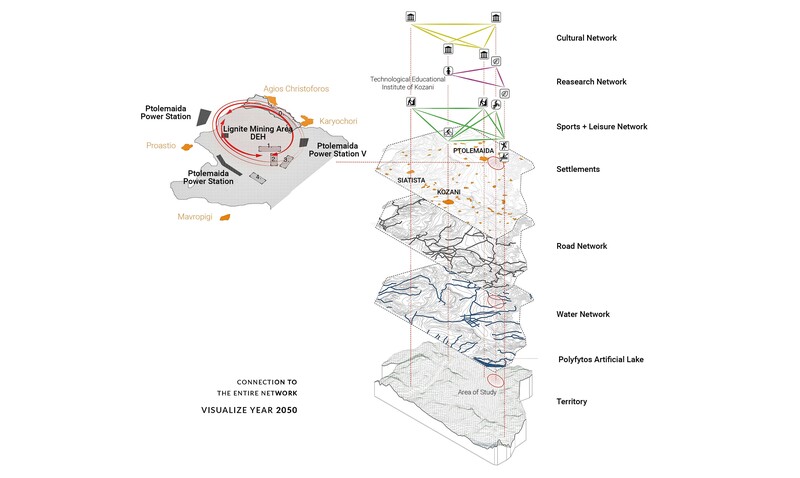 To this end, we propose four thematic sections, which constitute the fusion of the existing culturally shaped landscape with modern technological developments, in an effort to interconnect the landscape infrastructure with new, ecologically evolving platforms of emerging activities. More specifically we are constituting planting as a structural composite tool which has structural validity equivalent to the proposed constructions. Natural materials and construction choices are used both as a means of signalling the principal routes and as a means of character readability of spatial entities. Lighting is also an important field of study. We suggest a balloon energy network, which converts solar radiation and kinetic wind energy into electricity, with an aim to visualize an interconnected ecological network up to year 2050.